Spanish Melody. Mary S. B. Dana, 1840.
of the apostolic writings in view of death and heaven. , Cowper, Stennet, Newton, Doddridge, and many other familiar authors, will be found in every collection that aspires to usefulness. 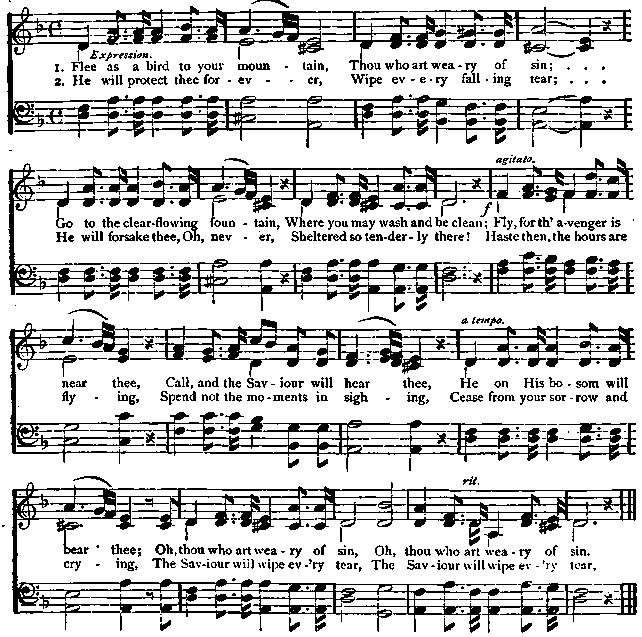 With whatever partiality to Dr. Watts we may have begun our work, a compar�ison of his psalms and hymns with the best effusions of the best hymn-writers has only served to increase our admiration, and our conviction that he stands above all other English writers. Nor do we believe any other man, in any department, has contributed so great a share of enjoyment, edification, and inspiration to struggling Christians as Dr. Watts.�H. IV. Beecher.